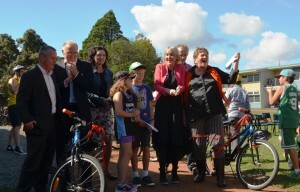 In early 2010 Paul McArdle, founder of Bikes in Schools came to Auckland enthused from the success of the opening of the first NZ bike track in a Hastings school. 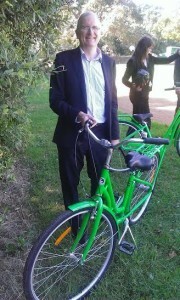 At the time I was on the Cycle Action committee that was keen to support this new initiative. 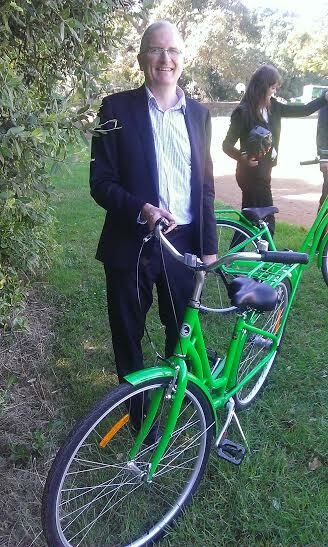 Paul and I had the opportunity for a quick scout around for possible locations for a bike track in a central Auckland School. 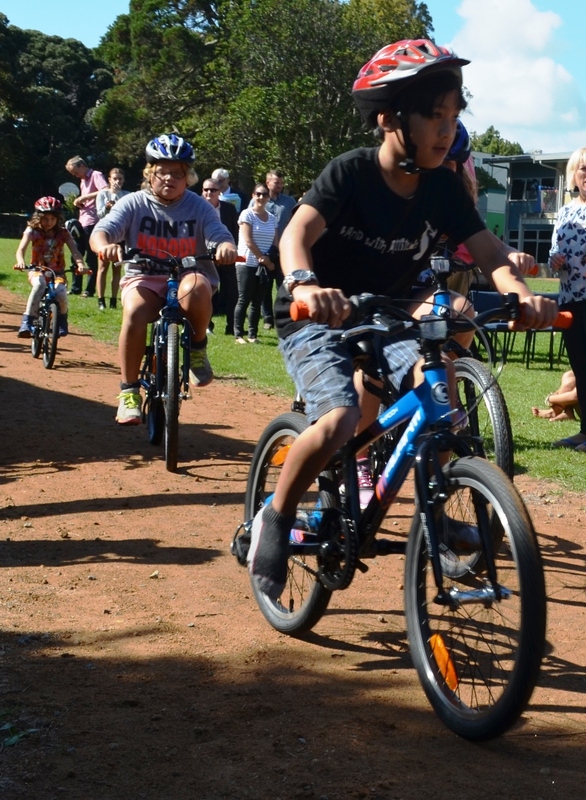 Several schools expressed interest at the time in following up with Paul and the Bikes on NZ Trust but a combination of building projects and land constraints meant progress was slow. The track is available not just in school time as part of PE classes but also accessible after school and at weekends for everyone in the community to use. 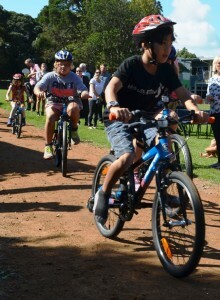 At the opening it was wonderful to see how excited the kids are about the track and the opportunity to ride bikes in a safe environment. What is also great about the track is that for the first time ever Freemans Bay School is needing to investigate bike racks as the project has encouraged kids to bike or scoot to school.